READER BEWARE: This will be a longer than normal review. Why? Because every track is worth discussing. Yes I know this album came out 3 years ago. But I wasn’t reviewing Christian albums back then. So bear with me. 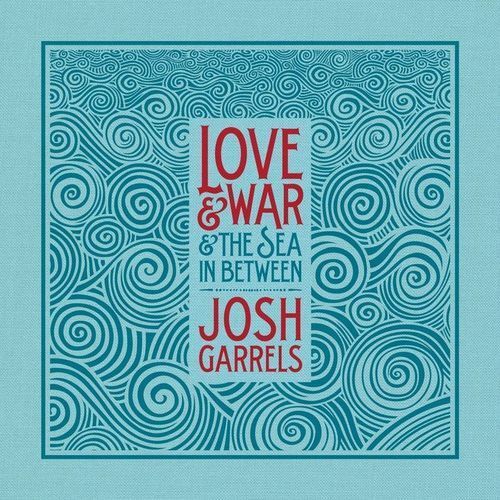 And if you haven’t listened to Love & War & The Sea In Between by Josh Garrels, then you can use this write up as an excuse to track it down. Drawing on a massively wide array of musical influences, Garrels’ Love & War asks meaningful questions about life, death, and the purpose of each – then answers those very same thoughts in the same breath. Kicking it off, the eerie “White Owl” instantly reminds the listener of the uncertainty of life. Unknown, questioning, and self-doubt plague the subject of the vocalist’s lyrics. But these questions will be answered. Everything broken will be made new: “You will never be alone. Every dream that you have been shown will be like a living stone.” There is hope yet. There is “shelter from the storm.” Combining gorgeous metaphors with floating verse melodies, Garrels hits the nail on the head with this flawless opener. The first time I heard this song, I was dumbstruck. It was my first Josh Garrels exposure and I knew I’d become a lifelong fan. “Flood Waters” shows the listener that “White Owl” was not an anomaly. Again utilizing exquisite similes and metaphors, JG’s subtle foreshadowing from verse to chorus gives this track another level of intrigue. The first verse, discussing the love of the Maker of the sea, states that this love is stronger than the rising tide. This watery imagery is fully realized in the verse. Those in His grasp have nothing to fear from life’s constant floods. He created the water, after all. Taking a very simplistic –dare-I-say-boring?– chord progression, Love & War’s next track shows Garrels’ wide array of influences. “Farther Along” mixes acoustic folk guitar with simple hip-hop influenced padded drum and bass parts. His spoken word lyrical delivery further pronounces the latter influence. Tying it together with layered keyboard parts, this song shows that quality musicianship can redeem any seemingly boring progression. Functioning as a transitional track from one group of lyrical concepts to another, “A Far Off Hope” let’s the lyricist reset. The first group of songs remind us why our hope is in our Father. They show His characteristics – love, assurance, faithfulness, security. While the first section of the album focuses on God and His utmost worth, the next group of songs contrasts the first by focusing on the world – and all the pain that comes with living in it. Fresh out of hitting the reset button, Josh Garrels tears into a spoken word / rap-filled lyrical flood. Dealing with the troubles, unfulfillments, and disappointments of this world, “The Resistance” leads us into a new section of the album. Nothing here satisfies. We have an “anchor in the storm” and “we will not be moved” when we lay our hope in the Maker of this finite place, but nothing here delivers lasting peace. This track’s chorus repeats that truth over and over. Although this world imprisons through falsehoods and half-truths, we will be liberated. Garrels further drives home this point in the next song, “Slip Away.” Begging the Creator to save him, the lyricist sings with a haunting refrain, “Please forgive me before we reach the end.” The songwriter knows all too well the temptations and troubles of this world and cries out for strength and salvation. Having focused on God’s attributes in the first group of songs and the world’s disappointment in the second, Love & War leads into a third section with another instrumental intermission. “Sailor’s Waltz,” while not as catchy as “A Far Off Hope,” functions well regardless; the listener’s ear looks forward to the theme of the third group of songs. Beginning with “Ulysses,” the songwriter kicks off 5 tracks looking forward to our hope past this world. An ascending melody, nearly a complete major scale, builds action in “Ulysses,” climaxing with yet another nautical metaphor: “Sailing home to You, I will press on.” Garrels is looking forward to the fulfillment of promises made long ago. Promises not of this world. Promises beyond. “Beyond the Blue” then fully develops these ideas first established in “Ulysses.” There is hope. Mixing biblical imagery from the book of Revelation with more nautical phrases harkening back to previous tracks, “Beyond the Blue” shows the writer’s true joy in the end. A joyful song, “Blue” again marries spoken word influences with pure folk chord progressions. Garrels never ceases to intrigue the engaged ear. The next two songs further advance this section of the album. “For You” again drives home the personal relationship of which he joyfully sings. Garrels looks forward to a future hope, but also dwells in a hope that is present. Nothing can separate us from this joy. Not trials nor time nor distance. “Million Miles” re-establishes the padded drums of early tracks. Harmonies – hitting more than the simplistic third above the melody – mix styles with the drum loop. And, as the song builds through multiple verses, the drums increase momentum – only to drop out at what would be the climax. Oh, wait, they’re back as the progression hits a mixolydian flat 7 chord and brings brass in to close out the song. “Bread & Wine” switches gears. Coming out of a driving drum beat, acoustic guitar and vocals start this track, with brushed snare coming in later. JG again drives home the relationship he’s so keen on highlighting in this sub-section. “There’s nothing to hide… Give it just a little time. Share some bread and wine.” The overt biblical imagery in the very name of the song ends the 5 song album chapter with a perfect coda. The hope we have is due to a future fulfillment of a present relationship, built on past promises. Coming out of another instrumental break with “No Man’s Land”, “Rise” kicks Love & War into another gear. Balancing modal chord theory (dorian for those who care) with accidentals (playing a flat 6 in dorian), Garrels sets his mind: he’s never turning back from this hope he has. The subject of his hope will restore. Why search anywhere else? As he lets this question linger, the drums come in for a heavy 80s-style backbeat. And you know what? It’s fantastic. Adding in some pizzicato strings for accents, the instrumentals in this song are superb. Lyrically, he drives his point: through God’s love, all that’s lost will be restored. And that’s worth holding on to. One last instrumental later (“The March”), and we’re into “The Revelator.” No attempt to be subtle – the track is dealing with the biblical Revelation about the end of time. In fact, the remaining three songs, including the lyric-less finale, share this theme. Speaking from the point of view of John, the writer of Revelation, Garrels rehashes much of the final book of the Bible. The vision John saw was in a dream, and was centered on the glory of the Lamb, that is, Jesus. Sparse drums and synth create rising action. The Lamb plans to “make war and peace with man. And reign on earth.” Then comes the full drum loop – with subtle electronic touches. Perfection. “Holy holy is the One who was and is and is to come.” Taken straight out of the Bible, Garrels makes the scripture sing, and sing beautifully. Hitting semi-tone guitar notes in the bridge brings some discomfort, pushing us right back into the comforting chorus. Holy holy. Flowing immediately into “Pilot Me,” the singer has sung the refrain from John’s Revelation and fallen on his knees. He’s at the end of himself and his desperation is overt. “Savior please, pilot me.” There’s nothing else for him but the subject of the biblical refrains. If you know anything about the Bible, and Revelation in particular, there’s a beautiful image of a marriage feast – The Marriage Feast of the Lamb. Jesus marries His bride, the church. Once and forever together in perfect love. JG ends his album with an instrumental song titled “Processional.” A bit of a strange name to end an album. However, knowing this biblical imagery, and seeing where he’s built his lyrics, this ending paints a beautiful picture, with the track vaguely following a Pachelbel’s-canon-like progression. Josh Garrels takes blatently Christian lyrics and communicates them in a way that intrigues the listener. Threads of repeated imagery, and themes communicated throughout, the album asks and answers life’s most important questions. From start to finish, Love & War & The Sea In Between shows the love and fulfillment of a relationship with Jesus Christ, without using worn-out, boring cliches to which many contemporary Christian song-writers resort. It is fantastic.